Hanoi (VNA) – Officials from Italy’s Lazio region have shown their interest in selling Italian farm products, especially wines, in Vietnam. Chairman of the Regional Agency for the Development and Innovation of Lazio (ARSIAL), Antonio Rosati and director of the department of agriculture and environment of Lazio region Enrica Onorati, expressed their interest while taking Ambassador of Vietnam to Italy Nguyen Thi Bich Hue around Vinitaly. Vinitaly is the biggest big wine exhibition in the world and it was held in Italy’s northern city of Verona from April 7-10. Hue attended the event at the invitation of Chairman of the Regional Agency for the Development and Innovation of Lazio (ARSIAL), Antonio Rosati. She toured nearly 100 booths displaying wines and signature farm products of Italy together with Antonio Rosati and Enrica Onorati. 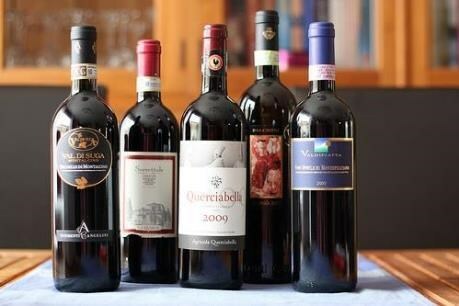 The Italian officials said they want to sell farm products, especially wines, in Vietnam as the number of Vietnamese drinking wines has been on the rise over the past 20 years and many type of wines around the world have been present in the country thanks to bilateral free trade agreements.